ValueLink has partnered with the most innovative companies in the real estate technology space to make the appraisal management process simpler and more efficient for our clients. The ValueLink Appraisal Management System is integrated with leading Loan Origination Systems (LOS), Order Management Platforms and Valuation Technology products. 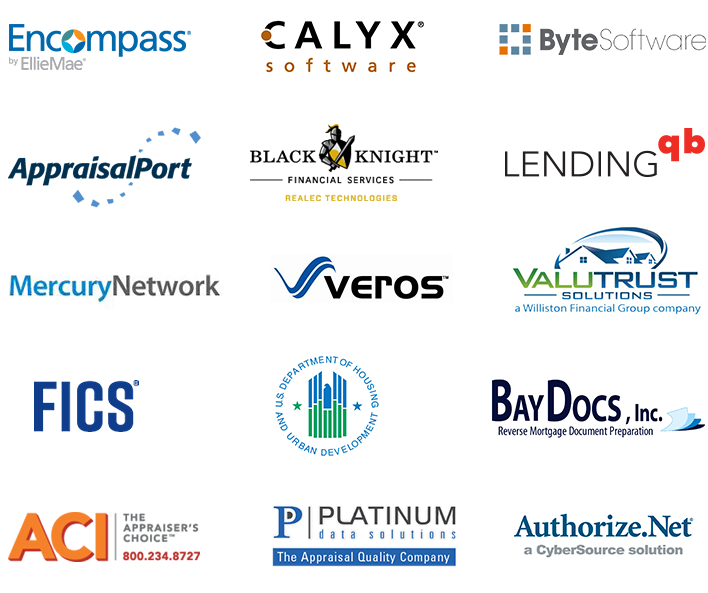 We are committed to making ValueLink the most powerful and versatile appraisal management platform in the industry and welcome requests for integrations with systems that are not listed below. Please contact our sales team on 888-587-0805 x.1 to know more about ValueLink integrations.